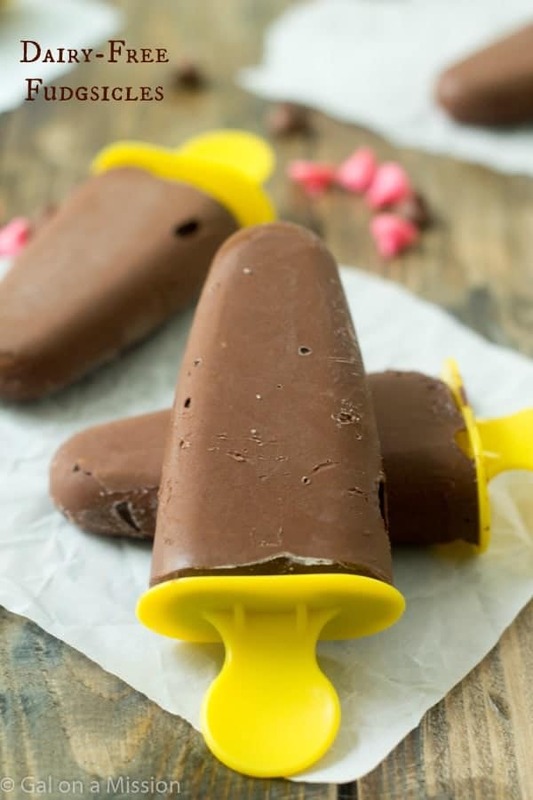 Delicious dairy-free fudgsicle recipe that’s a healthier option to beat the heat! They taste amazing and you won’t even notice they are healthier! This month I am trying to cut out all processed foods, grains, sugar, and dairy. It sounds like a lot and it really is! At least I am trying new things and that’s always great. Before I would have NEVER tried anything dairy-free and would have stuck up my nose and said, “No thanks”. With the changes in my diet, I know have a lot more energy to get everything completed in my busy schedule and then some. I would have never thought that. Plus, losing a few pounds since the beginning of my month is really great. I have a long way to go. 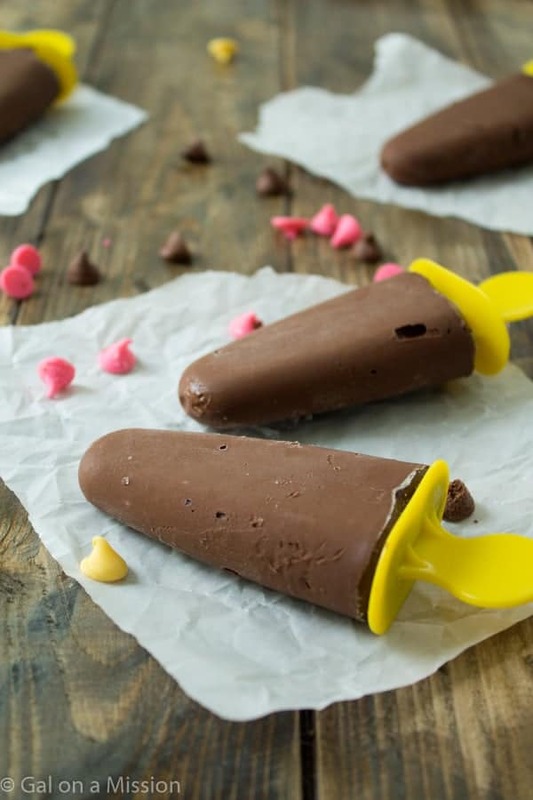 I know you all will love these fudgsicles because they are so decadent, rich, and just tasty. I think I like them a lot better than the store-bought fudgsicles. I always thought nothing could compete with them – these dairy-free fudgiscles did and they won. Who would of thought? You can definitely make these vegan by using a vegan sugar, which I would have to do some research to recommend one. I love honey and that’s what we hand around. So in the honey went to sweeten it. 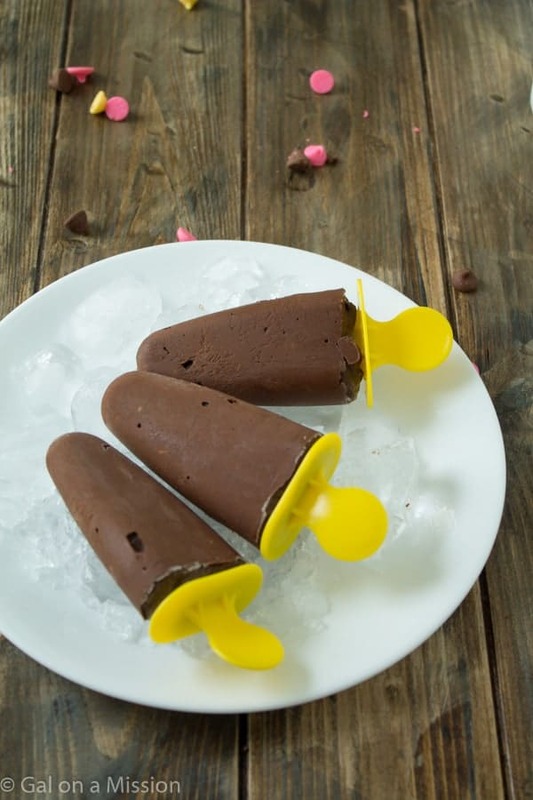 You might think these fudgsicles are super-rich; well they are but, you can always add in more honey to make it sweeter for your taste. In a blender or a food processor, add in the avocados, coocoa powder, honey, vanilla, and coconut milk. Blend or pulse until the mixture is creamy. Taste and see if it is sweet enough for your taste, if not add in more honey. I thought that was easier to add the mixture into the ice pop molds by using a pastry bag - like you would do with frosting. To get most of the air bubbles out, shake the mold a couple of times and poke a knife or something similar into the mixture. wishing the weather was hot enough here to justify having a popsicle! these look delicious.. love that they are dairy free too! Trying this in a few days when my sister-in-law visits! She has crohns and is on a very limited diet. Do you use the large or small avocados? I assume it would make a difference. Thanks! I used medium-sized ones, Jennifer! I just found this post through a pin on Pinterest. It is perfect for me because I have trouble digesting milk products. We just started buying Coconut Milk and I’ve found that I like it quite a bit. This is definitely one I’m going to try! Thanks for posting it! They are great, Aliza! Very rich, too.